The main system used for control of our Manufacturing operations is SFDC (Shop Floor Data Collection). 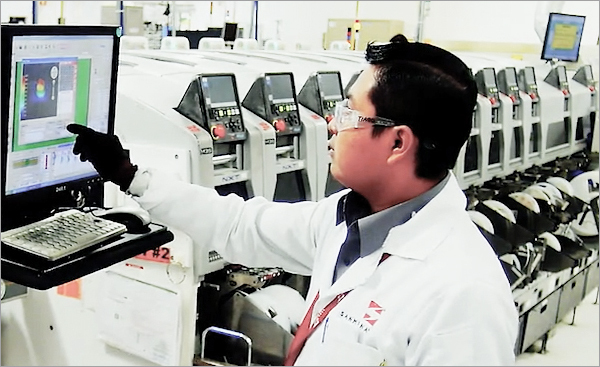 Data collection in SFDC ensures traceability at finished product level as well as at component and sub-assembly. Test and inspection results are collected real time, in-process and a multitude of reports are available – from real time to historical data queries. One key feature of our SFDC system, is the Auto-Pass capability – where operator intervention is not required, ensuring the product has successfully completed all tests/verifications before being moved to the next in-process location. In the event a containment action is necessary, to preclude a product from being shipped, systematic Oracle ship hold capabilities are available. Parts rejected in process are reviewed as part of the Failure Analysis activities and corrective and improvement actions are taken as necessary.